One aspect of my job that seems to raise curiosity from a lot of people, is spending a week or more traveling closely with business contacts that I do not know very well on a personal level. This is often in a different city, state, or country, each day traveling from retailer office to retailer office, spending 12-18 hours a day together. Having done these trips several times each year for over 20 years, I have learned plenty about people in general, and even more about the people who make their living in our DIY/ Home Improvement Industry. The stress of an intense week or so of travel and pioneering new markets, often multiple time changes and jet lag, can understandably burn the patience of almost anyone. The absolute first thing I am always very happy to explain is that I am very lucky to be working in this industry. Perhaps it’s because people may change jobs but usually stay in the industry and maintain relationships. For whatever reason, the overwhelming majority of people in Home Improvement are not afraid of working hard and they are usually polite, prompt and professional. Now, I’ve certainly had traveling companions that embody the “exception that proves the rule” but for the most part I’ve met great people, many of whom I can now call friends. It’s not all by chance though. I’ve learned that the best tools to ensure a productive trip (even more so when you are in a different hotel every night) are experience and diligent planning to foresee and minimize or eliminate as many stressors as possible prior to departure. Choosing hotels nearest to the next morning’s meeting is a big one. If we must get stuck in traffic or turned around, it’s best the night before while finding the hotel, not getting to the meetings. It’s also key to leave extra time for flights so that there is no need to rush a meeting with potential business in order to make a too tight flight schedule. Another stressor is uncertainty. Letting people know our agenda, long before we depart – where we will be and when, and talking through any questions, can be very helpful here. I arrange all the hotels, flights, car rentals and I handle the driving so the supplier can focus on business. It is also very important to be ready for the travel world to throw you a couple of curve balls and be able to laugh about them. While things like lost luggage are an inconvenience, it’s something that everyone can relate to… including buyers. If you have to show up in workout clothes to a meeting because it’s all you have that’s clean, it’s ok. Buyers will empathize. It’s a good ice breaker and a great excuse to be very comfortable. Don’t get me wrong, I do pack an extra dress shirt in my carry-on for good measure, but sometimes it can take a few days to get your bag, especially when you’re on the move every day. Securing orders also helps a lot. On that topic, we are fortunate and proud to have had over 75% of these suppliers secure new accounts as a result of these adventures over the last couple decades. Of course, I’ve had a couple of traveling companions that stand out as, for the sake of political correctness, we’ll call them “less than ideal” to travel with. I’ve seen people blow up at restaurant wait staff, have an emotional breakdown in a sales meeting, refuse to help look for street signs in a car, try to go home mid-trip because they’re stressed, refuse to get on an airport shuttle (still don’t understand that one) and many more… but the reason these examples are memorable is because they are rare. Whether it’s trying to catch an Uber in Chile, sorting out bad GPS directions in Ontario, getting stuck in traffic in Chicago, trying to find an open gas station after midnight in Germany or repacking a bag of samples for the 3rd time to make weight at the airport, my traveling companions have been great and I always look forward to the next adventure – helping the another supplier secure new business through our retail relationships. This is the point where I get the second question… “So how am I doing so far”? See? Great people! 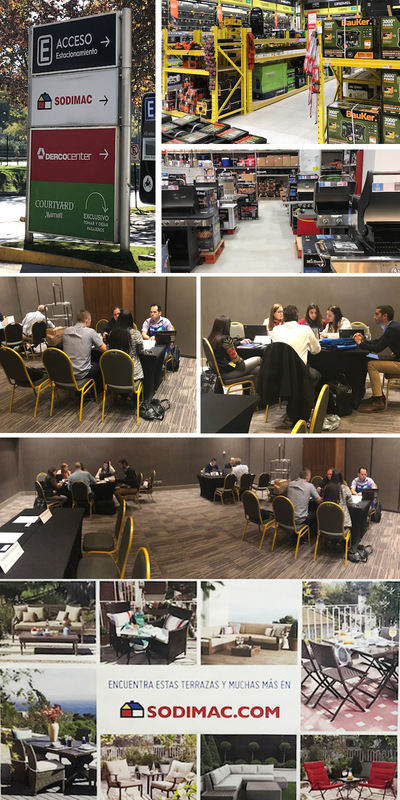 I’ve recently been asked some interesting questions regarding follow up with buyers by some of the approximately 75 new and innovative suppliers with us in Appleton, WI to meet their buyers from Fleet Farm. The initial feedback from both buyers and suppliers was very positive. 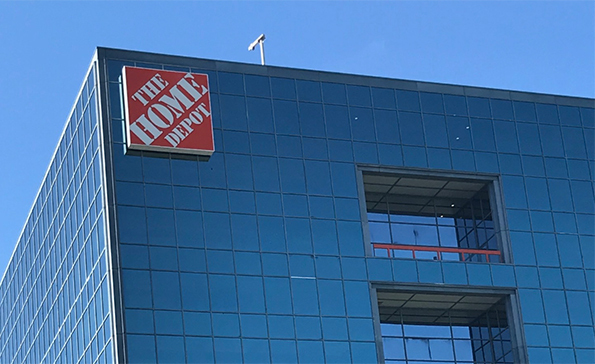 A large number have taken the first step to becoming a valuable vendor to Fleet Farm by taking advantage of our Buying Day program to get face-to-face time with their responsible buyer. Now the suppliers and the buyers are heading back to daily routines and the urgent emails and phone calls begin to take your focus away from these new opportunities. Diligent follow up is critical to turn these interesting new meetings into important new customers and these suppliers need to find a way to stay top-of-mind with the buyer while keeping things moving in a positive direction. This is an issue that most of us face after events where new opportunities present themselves. With that in mind, here are a few tips for navigating that line between persistence and being a pest in follow-up communications. • Give the buyer a couple days before the first email. The buyer is meeting a number of potential new suppliers during this day and the emails and voice mails are still coming in from his current suppliers. It might seem like a good idea to send off a quick email right away but you’ll have a better chance that he/she will give it due attention in a day or two once they have had a chance to catch up a bit. • Don’t be shy. Buyers are busy with their current suppliers and assortments. While every buyer is different, for the most part, it’s perfectly ok to follow up a couple times a week if done correctly. The vast majority of buyers appreciate follow-up and are not irritated by this… just don’t demand and don’t follow up every day. • Lead with what is important to the buyer. Know what motivates the buyer and communicate how you are providing a tool/solution to this rather than just asking for what you want. You should leave your initial meeting knowing what about your product or offer is intriguing to the buyer. Give some thought to why this is important to buyer the buyer and how you can help with his/her job. In addition to finding new and innovative products to offer their customers, most buyers are evaluated on the margin, turns and sales per sq. ft. of their assortment. Put yourself in the buyer’s place and speak to what you can do for him/her. 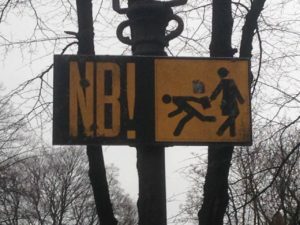 • Be polite. Ask if they have everything they need and offer to help rather than just pushing for an answer. This seems like a given but it’s easy to get frustrated if/when communications go silent or another sort of log jam arises. Tone in email can be in the ear of the reader and therefore tricky to convey. Just make sure you re-read every email a couple times before sending and make sure you are communicating a tone that will encourage a thoughtful and positive response. • Recap the current status of the project without pointing fingers when inquiring about next steps. This gives the buyer a chance to own the process and request anything they might need to progress to the next step. This reminder will help the buyer remember the status without having to sift back through all your communications and is a gentle reminder of what you have already provided and your interest in continuing to move forward. • Keep the message part of your emails short and to 1 max 2 points. People tend to feel the need to respond or ignore email messages quickly and many skim if the message is wordy. Use attachments to communicate more involved information, they tend to lend themselves to more time intensive tasks. • If you are not getting a reply to emails, use that telephone thing on your phone. Buyers get loads of emails every day. You have their direct line from their business card for a reason. While email is more appropriate for the initial follow-ups, you shouldn’t be shy about contacting him/her the way our ancestors did with an actual human voice. 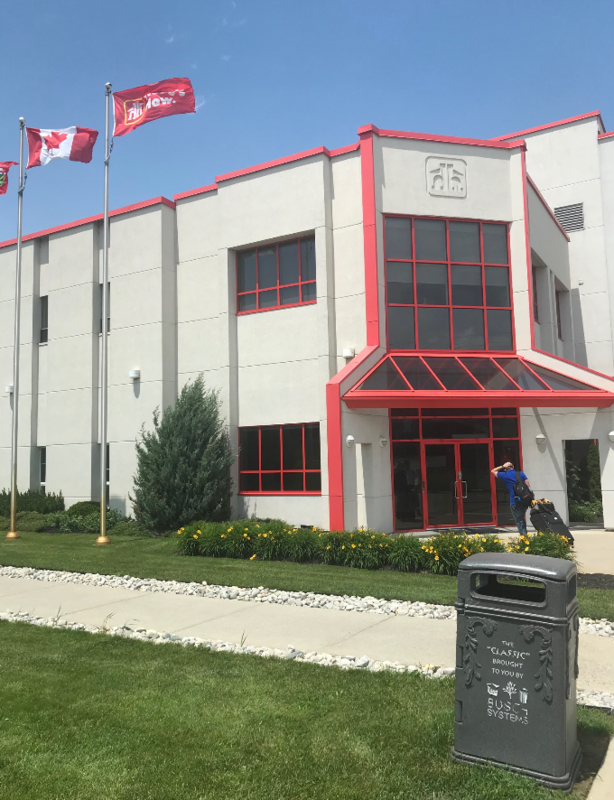 Back up in Ontario, Canada today taking care of some store visits with a supplier from Russia prior to retail meetings this week. I was getting pretty hungry but there was not a parking lot poutine to be found. Buying Days, DIY Market, Where in the world is Steve? I got my dry cleaning back after my return from the National Hardware Show in Las Vegas and threw it right back in my suitcase for Santiago, Chile for our Buying Day with Latin America’s leading DIY retailer SODIMAC. Thanks to all the suppliers who made the journey with me and, from the looks of the buyers’ feedback, many of you are well on your way to securing an excellent new customer! Buying Days, DIY Market, South America, Where in the world is Steve? The Home Improvement eRetailer Summit has been rescheduled (due to Hurricane Irma) to November 29 – December 1, at the Rosen Shingle Creek in Orlando, FL. REGISTER NOW and take $100 off simply by typing in “100off”. For more information go to www.eretailersummit.com. The Home Improvement eRetailer Summit is an opportunity to connect manufacturers, distributors and pre-qualified online retailers who are specifically interested in increasing online sales of home improvement products through collaboration and partnerships. In addition, this conference is designed to help educate the entire home improvement distribution channel more about the online retail industry. It is designed as a mutually beneficial educational forum for retailers, distributors and manufacturers. 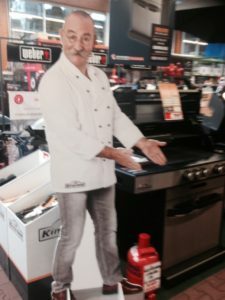 Understanding how to use the Internet as a retail distribution channel is not easy, particularly in the home improvement market, where bricks and mortar have long been the standard bearer of successful retail selling. E-commerce can be very different from the traditional way home improvement suppliers go to market. 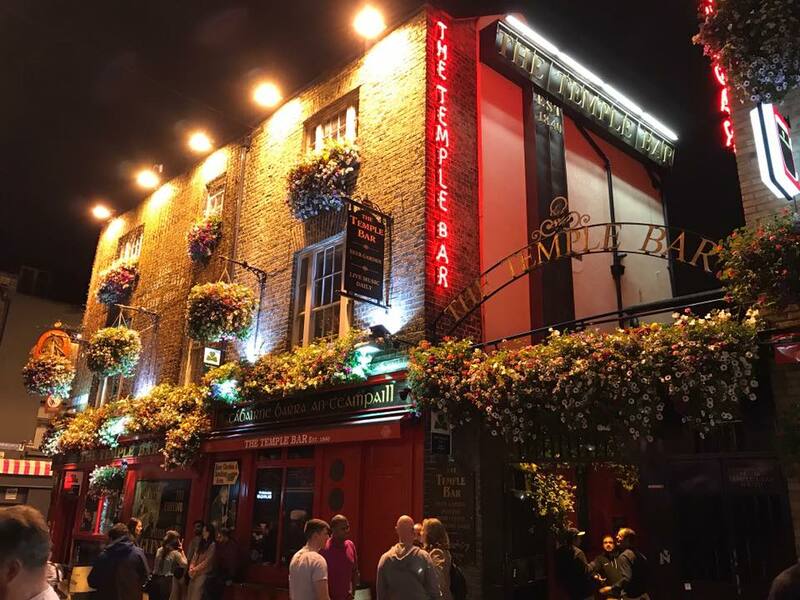 The eRetailers participating in this summit will share how they optimize their distinct online model and will help suppliers understand the profile of the type of supplier partnerships that are successful in their e-tail environment. In a curated educational setting, crafted by an advisory board of progressive online retailers, eRetailers will participate in educational tracks that focus on clarifying some of the top issues faced by online retailers today. eRetailers will be able to develop partnerships with suppliers and create sustainable and profitable business relationships. All of these valuable benefits are integrated within an invitation-only gathering. I’m in Landscheid, Germany today near the border with Luxembourg to meet with SUKI. 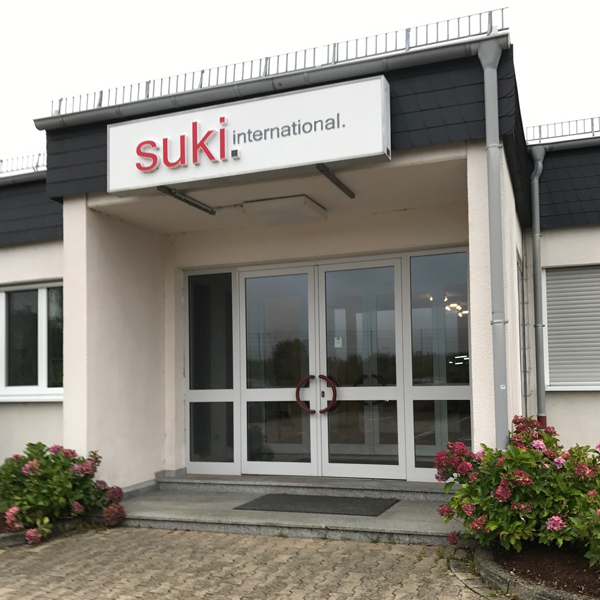 They are a large distributor of hardware, hand tools and adhesives selling to all top 20 European DIY chains. DIY Market, Europe, Where in the world is Steve? Bostwick-Braun Buying Day Registration Open! The Bostwick-Braun buying team will be holding their Buying Day on Wednesday, December 6th, 2017 to see new products & new vendors. 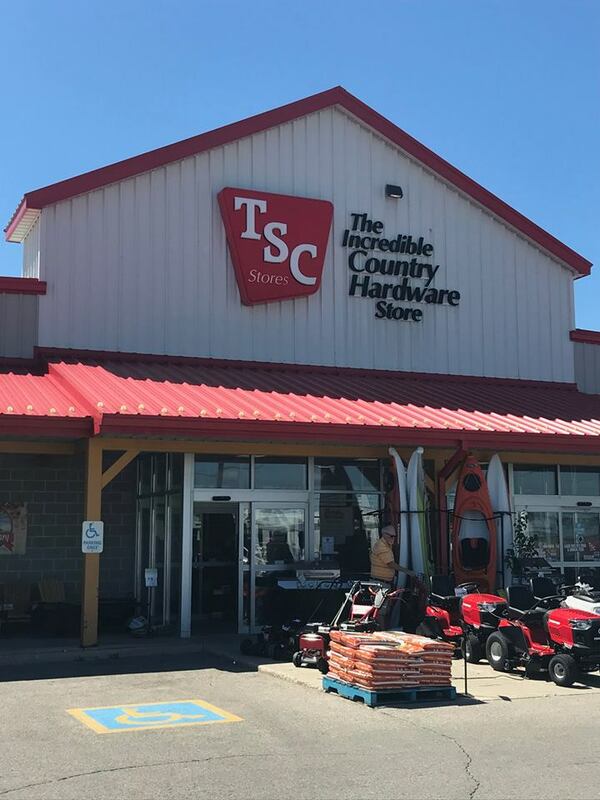 Bostwick-Braun is one of the oldest and largest wholesale hardware distributors in the midwest, supplying both retail and commercial/industrial customers through a 22-state region. Register for your meeting here. 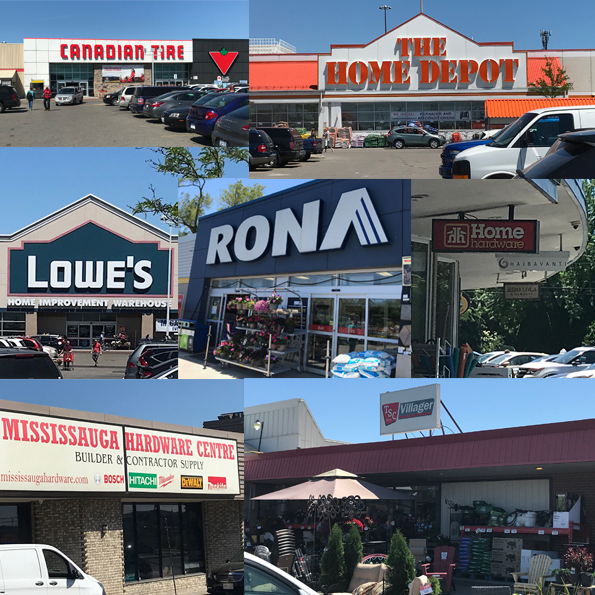 In spite of the grey and rainy skies outside, we had another very successful Buying Day at Menards on August 3rd, 2017. 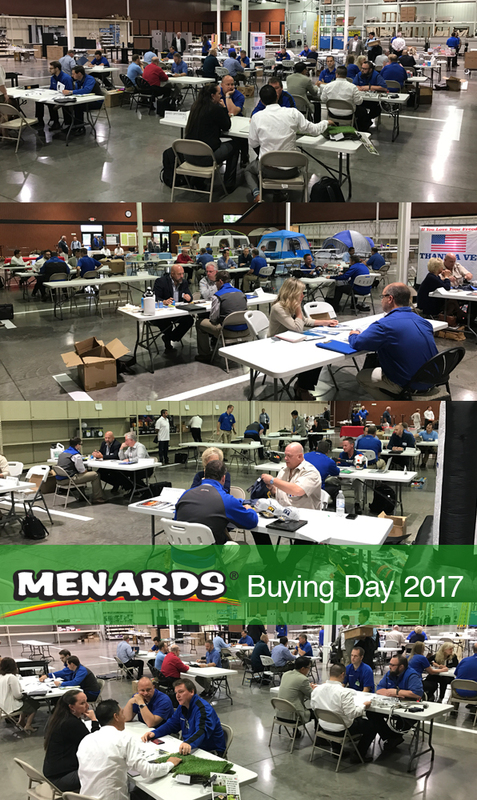 Menards had their buyers in one room to meet with with new prospective suppliers at their headquarters in Eau Claire, Wisconsin last Thursday – our 10th successful Buying Day at Menards! Menards is the third largest home improvement retailer in the U.S. with estimated annual sales at $8+ billion and over 270 retail stores. No problem, we will hold another Menards Buying Day in August 2018. Stay tuned for more details. Check out our upcoming Buying Days here. You don’t expect it to be 94F in Germany. Life in a business suit can be uncomfortable without air conditioning. Not so for Germany’s DIY retailers this summer though. The low interest rates here are causing people to invest in their homes rather than putting money in the banks. Sales are strong. Just outside Dublin, Ireland today. We had a little time to play tourist after landing last night. 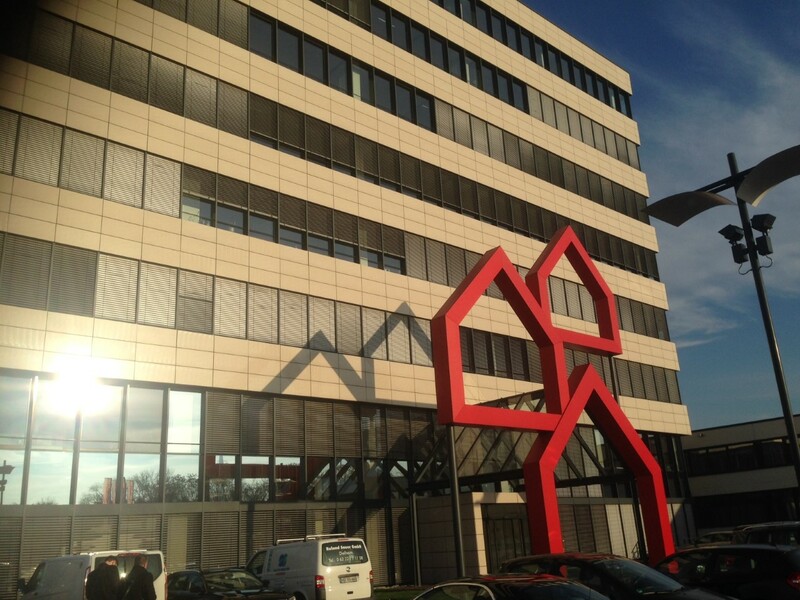 Just outside of Antwerp, Belgium today meeting with the Brico Alliance Group at the HUBO headquarters. Brico Alliance consists of 9 mid-size EUROPEAN DIY retailers from Iceland to Estonia and as far south as Morocco. Their combined annual sales are around 1.3 Billion Euro. 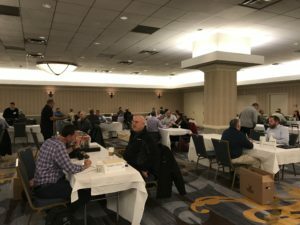 Purchasing Directors from all the chains get together quarterly to discover new products and combine volume for more cost-efficient production runs from suppliers. 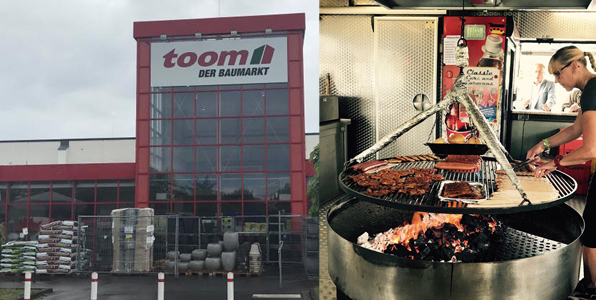 After a short morning flight, we find ourselves in Cologne, Germany today to meet with TOOM BAUMARKT after a quick bit of store research and a visit to the parking lot for an outstanding bratwurst. This woman had grill skills that could put the Lambeau Field tailgate to shame. 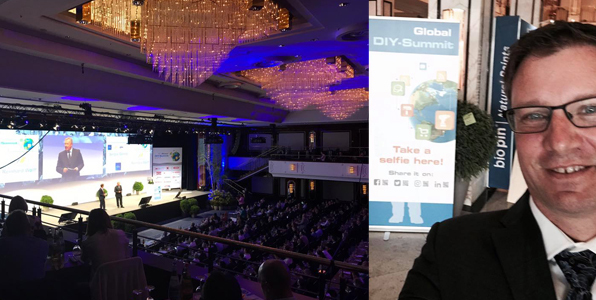 I’m in Berlin today at the 5th Annual Global DIY Summit. It looks to be around 1000 attendees mostly at the senior-level from companies across the supply chain from around the world (although heavily European). Topics include innovation and economic forecast but this year there is a new emphasis on political issues with the Brexit and US election receiving much attention. 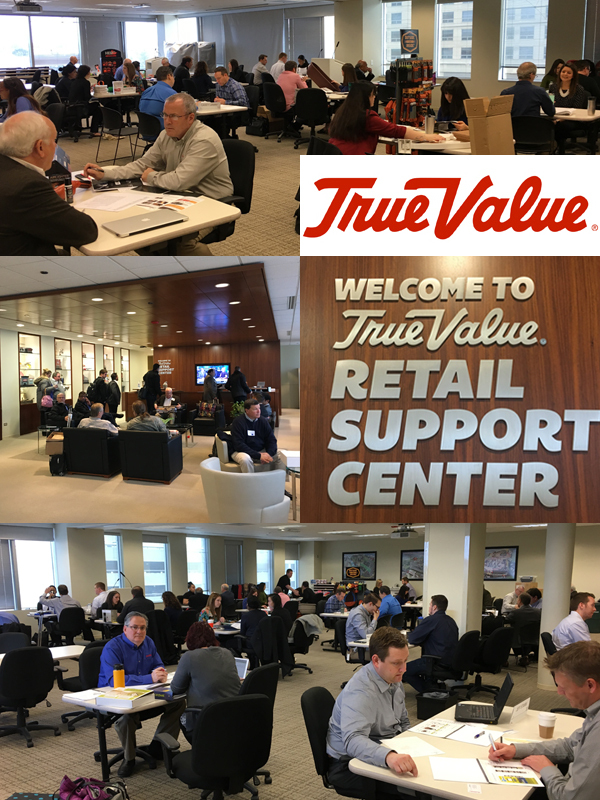 Our True Value Buying Day event on March 9th was a huge success: over 125 meetings within 3 hours! All of the merchants in one room for a 1/2 day+, meeting with potential new suppliers in pre-scheduled, 20-minutes Face-To-Face meetings. Lots of happy hand shakes where witnessed. If you haven’t participated in a Buying Day event yet, it’s time! 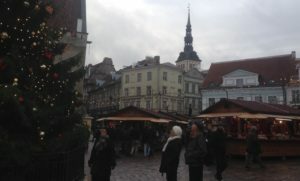 Following a late flight and 2am hotel arrival, I woke up this morning, freezing cold, in the Estonian capital of Tallinn. 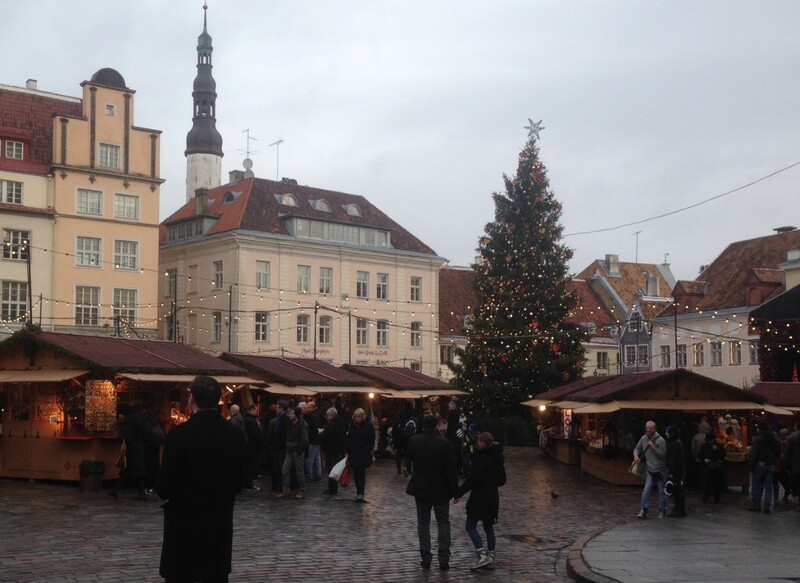 After a great meeting with Bauhof (13 stores in Estonia), we had a chance to see the Christmas market in the old town. It seems about 1/3 of the stands were selling glogg but the sausages and sauerkraut dominated the smell in the air. 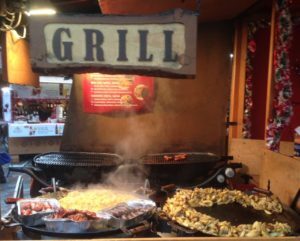 We are in Mannheim Germany today to visit with BAUHAUS and talk BBQs. 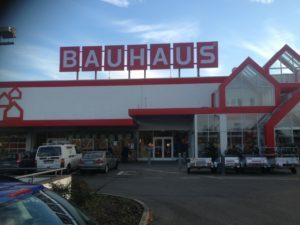 Bauhaus now has over 260 stores in 19 countries with the recent addition of Luxembourg. Afterward we made it to the airport in time for one last Pils and pretzel before boarding our flight to Estonia for tomorrow’s chapter in this week’s story. It’s a three-country day. 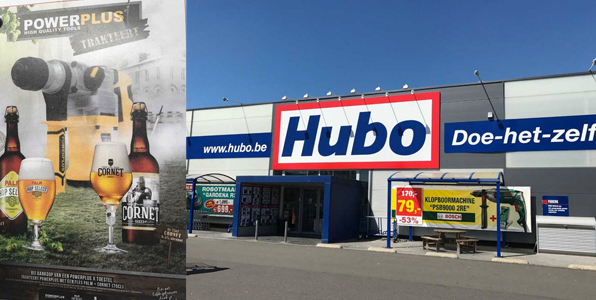 We began in Antwerp, Belgium visiting our friends at Brico Alliance at the Hubo offices to discuss which of the nine-member organizations (small to mid-size EUROPEAN DIY retailers) will participate in a test market for a new vendor. 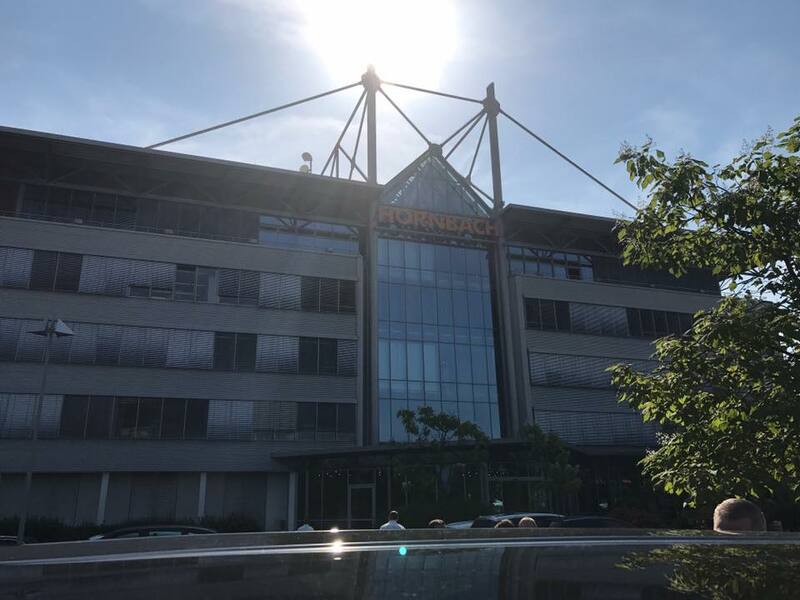 From there we drove to Amsterdam to meet with one of the logistics solutions that have helped Council members and discuss how they may handle spare parts, less than container quantities, customer service calls and B2C shipments for this supplier. Afterward, we made the long drive to Germany for tomorrow’s meeting.